Dear Locuser, We’re happy to introduce new version 3.4.0 that is available in your store. What is the hottest new? Probably the pop-up balloons. New solution brings possibility to work with points or tracks very quickly and directly on the map. 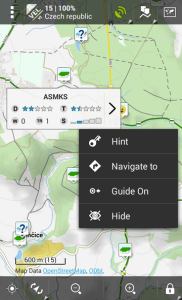 It’s very useful, for example for geocaching when you can get important information very quickly for hunting or for navigation. These quick pop-up labels work also with tracks. Do you use feature fill altitude? 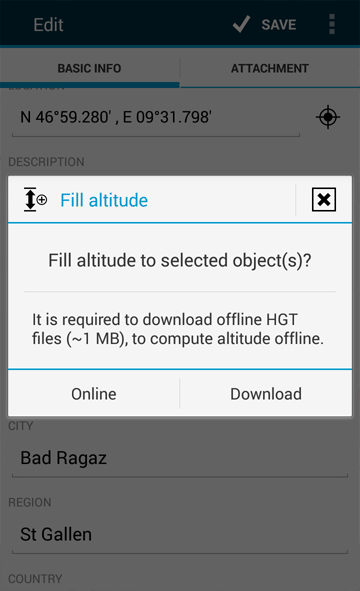 Version 3.4.0 contains new dialogue that automatically uses offline elevation data or download them if data are not available. 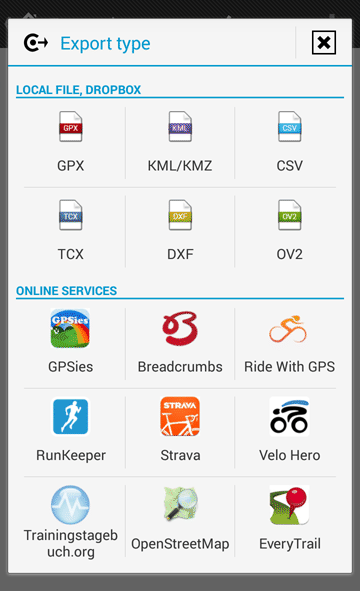 Velo hero it’s beautiful web service where you can maintain your recorded tracks. Locus offers direct export to this service now. Try it. Lastly the last big advance is wide support for MBT – especially UTFgrid feature. It enables to connect tiled map with parametric data. It makes maps more interactive and Locus is ready to show data related with map areas. There are also lots minor improvements – for example, export points into CSV file in custom coordinate system, fixed map rotation during guiding and more. @Georg That should be feasible; creating a transparent mbtiles layer is easy enough in Tilemil. But the interactive element of a mbtiles only works as normal layer (I think), so you could just just a mbtiles layer as base layer and overlay it with any layer you want to use with full opacity. Hi Voldy, I really like the pop ups 🙂 but would really love to customize the displayed information (see idea http://help.locusmap.eu/responses/how-to-customize-poi-popup-introduced-in-v340). 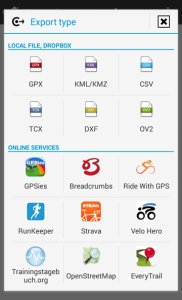 How/where can users get MBT maps with UTFgrid features? Paulo mentioned some maps in his blogpost (see previous post). Thank you, Voldy – with both links I got an idea what possibilities MBTiles maps with UTFgrid offer. Very interesting it works. For pure hiking, cycling etc I don’t see “relevant” information that is not addressed via “usual vector maps” (e.g. terrain type, difficulties of ways, barriers, …) in combination with HTG elevation files (e.g. to auto-fill track elevation profiles) besides such information that is changing too rapidly to be stored as an offline map (like current perception & temperature) but better as a WMS layer. your text contains serveral mistakes. I’d be pleased if you’d publish texts that have been proof read. Thank you. Some mistakes were corrected. Thank you for blog post 🙂 We’re glad that it’s useful for you.